Rock’s favourite insurance salesman has been moaning about the corporate oppression of record companies. 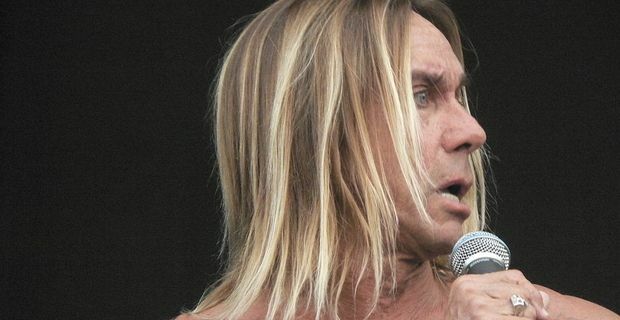 Iggy Pop, whose career in advertising to motorists took off despite decades of claiming to be The Passenger, is choosing to release his new material online. Launching his new album, Apres, in Paris, Iggy admitted that he had offered the material to Virgin and they had declined to release it. "They didn't want it," he said. "They didn't think they would make any money, they didn't think my fans would like it - very sensible attitudes for a sensible sort of person - but that's a different sort of person than I am." It seems that the record company wanted to team the wrinkly rocker up with some younger musicians to make a record that had some contemporary relevance. "They would have preferred that I do a rock album with popular punks, sort of like 'Hi Dad!' I was not going to do that!" Around about the time of the rejection, Iggy came up with the realisation that record companies were bad news. "What has a record company ever done for me but humiliate and torment and drag me down?" he said.